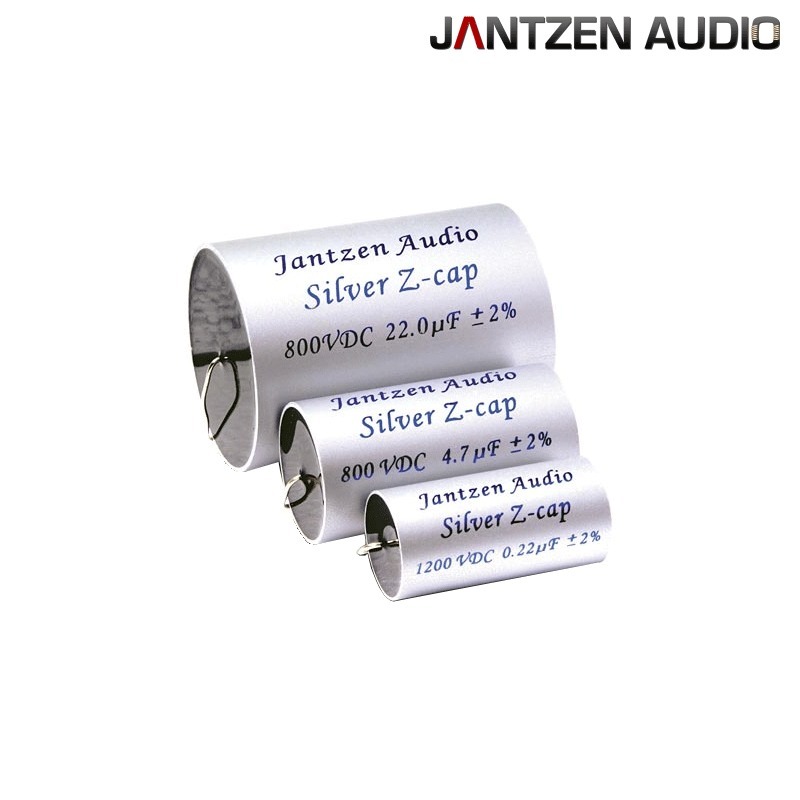 The Jantzen Audio Silver Z-cap range of polypropylene are a step up from the Superior range in that they have pure silver leadouts, offering a super smooth sound, a neutral tonal balance, without coloration. The sound signature is amazingly detailed with an authentic soundstage. They are made if polypropylene film metalized with aluminum and zinc particles. They have a wide range of values from 0.1uF to 22uF with a high voltage rating so they will be at home in any high HT valve equipment. Silver Z-Cap are non-polarized capacitors. The signal path can be in either direction without changing the sound or performance.